These are vintage glass cabochons that were made in Western Germany. They have a glass base with a floral decal on top. This measures 25mm X 18mm. You will receive one piece. 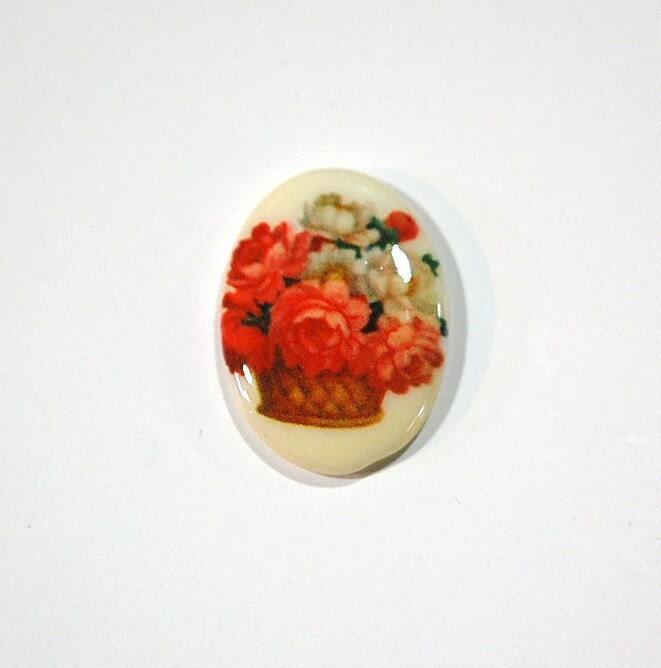 I am listing other designs from this series of cabochons.